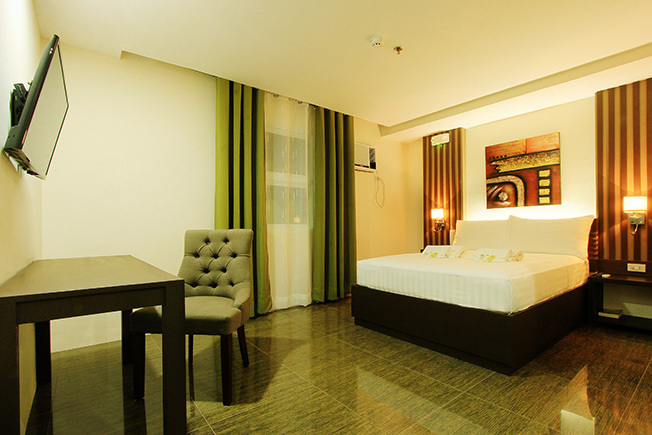 Our Deluxe Room is ideal for couples in their honeymoon or friends out for a fun-filled, all-out vacation. The adequately-sized bed is very comfortable even for two adults. With the extra space, the sizable desk, and a nice toilet and bath, this room is made to delight guests.